Mike Massey is just behind the young lady in the foreground. Bill Stigall (sp?) 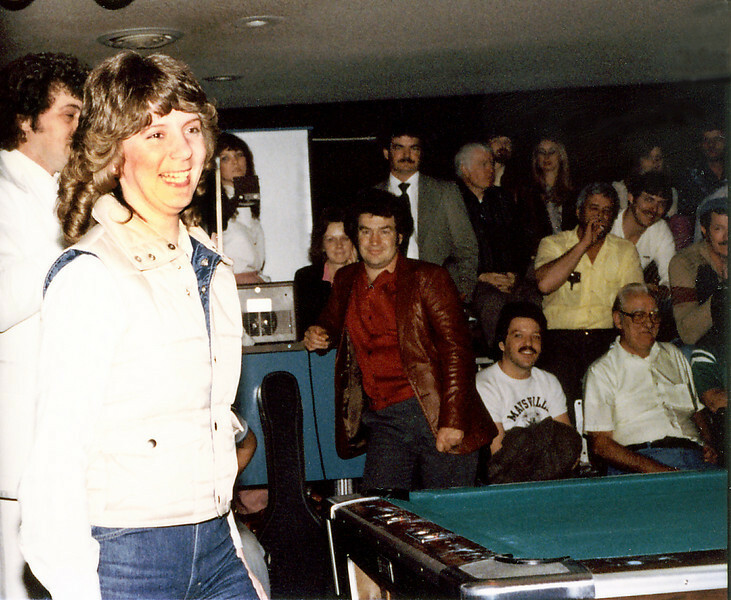 in the leather jacket and Butch Baker, a strong Cincinnati player, in the white t-shirt on the front row.